TAMAQUA, Pa. (AP) — A school district policy that allows teachers and other employees to carry firearms has met overwhelming criticism from parents. Parents questioned Tamaqua Area School District officials during a meeting Wednesday, the Morning Call reported . School board members passed the policy in a unanimous vote last month. The policy allows staffers to carry handguns in holsters after completing firearms and lethal weapons training. Parents opposing the policy believe there are safer, more affordable alternatives. They suggest the school hire part-time police officers or install a shooter detection system that alerts police. Critics think the district should also invest in preventative measures like mental health support and threat evaluations. They see the practices as long-term initiatives. “The goal of a prevention plan is not to stop an active shooter in the moment but to prevent a student from ever becoming one,” said parent Jennifer Paisley. Fifteen-year-old Tamaqua Area High School sophomore Madelyn Jones was one of several students who shared their concerns about the new policy during the packed meeting. “I do not feel safe with teachers being the ones who protect us,” Jones said. PITTSBURGH (AP) — A moment of silence to honor the 11 people killed in a synagogue is planned at a park in downtown Pittsburgh nearly two weeks after the massacre. Mayor Bill Peduto is asking people around the world to join in the moment of silence at noon Friday. It will start a “Rally for Peace” at Point State Park to commemorate victims of the Oct. 27 shootings at the Tree of Life synagogue in the Squirrel Hill neighborhood. Pennsylvania Gov. Tom Wolf is encouraging people in the state to participate by reflecting on their common humanity and to work toward a more peaceful society. The shooting was the deadliest attack on Jews in U.S. history. A 46-year-old man who is accused of the shooting rampage has pleaded not guilty to federal charges. 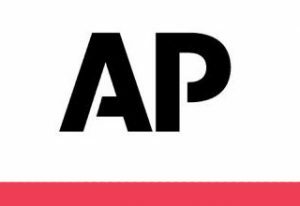 HARRISBURG, Pa. (AP) — Pennsylvania’s top prosecutor says victim compensation funds being established by the state’s Roman Catholic dioceses over sexual abuse of children by priests should be accompanied by a change in state law to let victims file lawsuits that are currently too old to be pursued. Legislation to create a two-year window for otherwise time-barred lawsuits passed the state House but was blocked in October by Senate Republicans. He’s urging lawmakers to pass the window and recommendations to eliminate the criminal statute of limitations for child sexual abuse, ban nondisclosure agreements preventing victims from discussing their abuse with law enforcement, and clarify penalties for failing to report child abuse. NEW YORK (AP) — Fake Views? An independent video producer claims a video tweeted by the White House was doctored. The clip purports to show what happened between CNN reporter Jim Acosta and a White House intern who tried to recover the roving microphone from Acosta as he verbally sparred with President Donald Trump on Wednesday. The producer tells The Associated Press the White House clip appears to have been manipulated to make Acosta’s actions look more aggressive. Abba Shapiro did a side-by-side and frame-by-frame analysis of AP video from the news conference and the version posted on Twitter by press secretary Sarah Huckabee Sanders. Shapiro says when Acosta’s hand touches the intern’s arm as she reaches for his microphone, the action in the White House clip speeds up to accentuate his movement. Earlier in the video, Shapiro noticed three frames were frozen to slow the action. Shapiro says that enables the manipulated video to be the same length as the original. Sanders hasn’t disclosed the source of the video she tweeted. WASHINGTON (AP) — Police in Washington D.C. are looking into a protest at the home of Fox News host Tucker Carlson as a possible hate crime. D.C. police say officers were sent to Carlson’s home Wednesday evening — and found about 20 protesters outside. They also found a commonly used anarchy symbol spray-painted on the driveway of Carlson’s home. WASHINGTON (AP) — Former first lady Michelle Obama says she was shocked two years ago when she heard Donald Trump would be replacing her husband as president. In her new book, Mrs. Obama says she tried to “block it all out” in the period after the 2016 presidential election. In the book, “Becoming,” Obama denounces Trump’s efforts to claim her husband was born in Africa — and therefore ineligible to be president. She says that was bigoted and dangerous — and was, as she put it, “deliberately meant to stir up the wingnuts and kooks.” Obama’s memoir “Becoming” is to be released Tuesday. NEW YORK (AP) — The U.S. Food and Drug Administration is planning on requiring strict limits on the sale of most flavored e-cigarettes, including age verification controls for online sales, to curtail their use among children and teenagers. FDA officials tell The Wall Street Journal the actions are expected to be announced as early as next week. The move is an attempt to curb what many are saying is an epidemic of underage vaping. Officials say the new policy will apply to flavored cartridge-style vaping products like Juul that have become popular among youths. No retail outlets will be allowed to carry them unless it restricts minors from entering the store or creates an off-limits area. New York officials have also announced plans to ban the sale of flavored e-cigarettes. WASHINGTON (AP) — Newly ascendant Democrats are promising congressional action on gun control amid a rash of mass shootings, including a late-night assault at a California bar that killed 12 people. Measures including expanded background checks and a ban on assault-style weapons are likely to reach the House floor when Democrats retake control after eight years of Republican rule. “The American people deserve real action to end the daily epidemic of gun violence that is stealing the lives of our children on campuses, in places of worship and on our streets,” said Rep. Nancy Pelosi of California, the Democratic leader who is running for a second stint as House speaker. Pelosi vowed to push for a range of actions to stem gun violence, including restrictions on high-capacity magazines and a measure allowing temporary removal of guns from people deemed an imminent risk to themselves or others. Washington’s Metropolitan Police Department reported that officers were summoned to Carlson’s home Wednesday evening and found about 20 protesters and a commonly used anarchy symbol spray-painted on the driveway. A brief video posted on social media by a group calling itself “Smash Racism DC” shows people standing outside a darkened home and chanting, “Tucker Carlson, we will fight. We know where you sleep at night.” The video was later removed from Twitter. PROVIDENCE, R.I. (AP) — Rhode Island elections officials say one polling place in Providence did not see a single voter during the midterm elections this week. Miguel Nunez, deputy director at the state elections board, told The Providence Journal that Precinct 2807 has just 11 registered voters. None of them showed Tuesday. The precinct is near the Statehouse, state offices and a national memorial and contains few residences. Those registered voters have shown up for elections before. Four people voted at the site in the 2016 presidential election, three for Hillary Clinton and one for Donald Trump. No one voted in the precinct in the 2014 midterm elections. The precinct votes at the Cathedral of St. John, the former mother church of the Episcopal Diocese of Rhode Island that stopped holding services in 2012. UTRECHT, Netherlands (AP) — Self-styled positivity guru Emile Ratelband thinks age is just a number. And his is a number the Dutchman wants changed. The 69-year-old TV personality has asked a court in the Netherlands to approve his request for a new birthday that officially would make him 49. Ratelband says his legal appeal is consistent with other forms of personal transformation that are gaining acceptance and government recognition in the Netherlands and around the world. PITTSBURGH (AP) — Ben Roethlisberger threw for 328 yards and five touchdowns, James Conner ran for 65 yards and a score before leaving late with a possible concussion and the Steelers pounded the Carolina Panthers 52-21 for their fifth straight victory. Antonio Brown added eight receptions for 96 yards to cap an eventful day that began with the star wide receiver being cited for reckless driving after police clocked Brown’s Porsche driving over 100 mph down a busy highway in the city’s northern suburbs. The Steelers play on our sister station 100.9 The Valley. PHILADELPHIA (AP) — It didn’t take Golden Tate long to learn his new team’s biggest rival. The playmaking wide receiver acquired from Detroit last week will make his debut with the Philadelphia Eagles against the Dallas Cowboys on Sunday night. He says he read on social media how much Eagles fans dislike the Cowboys. The Eagles play on our sister station Eagle 107. Charlotte at Philadelphia 7:00 p.m.
Washington at Orlando 7:00 p.m.
Detroit at Atlanta 7:30 p.m.
Indiana at Miami 8:00 p.m.
Brooklyn at Denver 9:00 p.m.
Boston at Utah 9:30 p.m.
Minnesota at Sacramento 10:00 p.m.
New Jersey at Toronto 7:00 p.m.
Columbus at Washington 7:00 p.m.
N-Y Rangers at Detroit 7:30 p.m.
San Jose at St. Louis 8:00 p.m.
Minnesota at Anaheim 10:00 p.m.
Louisville at (13) Syracuse 7:00 p.m.
(16) Fresno St. at Boise St. 10:15 p.m.
Illinois at (2) Kentucky 7:00 p.m.
Louisiana-Lafayette at (6) Tennessee 7:00 p.m.
Pacific at (7) Nevada 10:00 p.m.
(8) North Carolina at Elon 7:00 p.m.
(25) Washington at (11) Auburn 9:30 p.m.
Kennesaw St. at (12) Kansas St. 8:00 p.m.
Buffalo at (13) West Virginia 9:00 p.m.
Washington at (14) Oregon 9:00 p.m.
Gardner-Webb at (15) Virginia Tech 7:00 p.m.
Austin Peay at (18) Mississippi St. 7:30 p.m.
Long Beach St. at (21) UCLA 11:00 p.m.
NC Central at (22) Clemson 7:00 p.m.
UNC-Greensboro at (23) LSU 8:00 p.m.